ReconArt has been really helpful in highlighting common issues for cash movements not coinciding with source system transactions. Harmoney is New Zealand’s leading peer-to-peer lending platform that matches borrowers with investors to provide everyone with a better deal. Peer-to-peer lending is disrupting the traditional bank lending model around the world, using secure, trusted technology to bring people together to invest and borrow at rates they love. Harmoney receives investor money, disburses this to borrowers and collects repayments via trust accounts set up for investors. Harmoney is essentially in a custodian role, meaning that the capital they are responsible for managing is not on their balance sheet, but they carry significant responsibility in ensuring that the money transfers they perform are complete, accurate, properly recorded, and fully auditable. In proactively auditing their own operations to prepare for anticipated growth, Harmoney found that although things were under control so far, transactional volume would soon begin to bottleneck and take a toll on internal resources. The team relied on a time-consuming, custom tool to identify reconciliation exceptions that needed attention. Itself a company dedicated to great technology that empowers people, Harmoney thought that there must be a good reconciliation system for these issues out there. 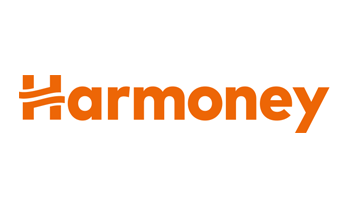 In educating themselves further on what was available, Harmoney became eager to put a solution in place that could not only scale up with its growing footprint, but also ensure visibility into common issues across systems and operations. It was also important to Harmoney to adopt a reconciliation solution that provided best practice reconciliation standards from the finance industry in terms of compliance, auditability, and automation. Harmoney went out to the market to search for an automated reconciliation solution that could meet all the above requirements as well as offer a long-term, partnership approach. Following a swift and in-depth Proof-of-Concept evaluation with its own data sets and matching criteria, Harmoney rapidly identified ReconArt as the ideal reconciliation partner. Ease of use – everything in ReconArt, from parsing and mapping data to transaction matching, is laid out in a very logical, easy-to-understand interface. Harmoney’s process requires a complex string of matching rules, but extensive rule testing and optimization together with the ReconArt Specialist helped ensure the best possible matching results. Changing the rules has been very straight forward. When we have had changes to the way files are structured it has been very easy to modify the rule itself to accommodate that. Exceptions handling – ReconArt’s solution allows for exceptions to be manually or automatically categorized, so that the common reasons for outstanding items can easily be filtered and reviewed at any time. Partnership mentality – ReconArt proved its desire to be not just a vendor, but a partner that would work with Harmoney to derive the most value from its investment. Working with ReconArt so far has been nice and smooth…we definitely receive prompt responses to questions from our ReconArt Specialist. ReconArt’s support was essential to help configure Harmoney’s complex matching logic and transfer the skills to key business users who will be expanding use of the product internally. Today, Harmoney’s first process with ReconArt™ reconciliation software is successfully up and running. Having acquired the full knowledge set to independently administer and use ReconArt, Harmoney is actively working towards transitioning all trust accounts to a daily ReconArt reconciliation process. Further reconciliation processes will likely be on-boarded later in 2016. ReconArt is proud to support Harmoney’s dedication to best practices in reconciliation and financial integrity, as well as be a part of its ongoing success in the region and beyond.